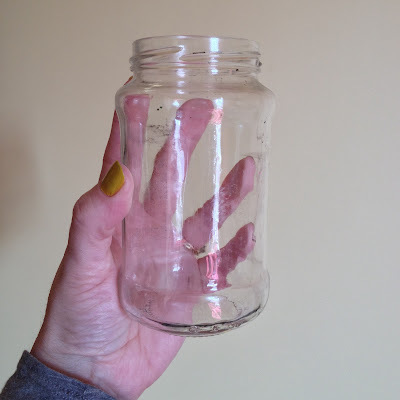 It's not dirty, I just reuse this jar for paint, etc. I have a baked penne pasta recipe, courtesy of either my mother-in-law Carol or sister-in-law Holly (they both make it, not sure which of them originated it) which I used to make all the time because it was easy, cheap, and feeds a crowd (or, my two growing boys). However, the recipe calls for the equivalent of about 5-6 of these jars worth of sauce. So just in sauce alone, the cost of my penne recipe has already hit $30 USD. Add in the Shanghai cost of spicy Italian sausage, pasta, a generous amount of mozzarella cheese, plus a small bit of Parmesan to grate on top, and my easy, cheap penne pasta recipe is now a $75 USD main dish. I don't know about you, but when I was growing up, spaghetti was always the meal we had at the end of the month when funds were tight. It's shocking to see that in Shanghai, spaghetti is a treat, not a budget saving staple! In my quest to throw 14 dinner parties in 2014, I realize one big challenge is going to be creating meals for a crowd which don't use my entire monthly grocery budget in one sitting. Our first dinner party date is quickly approaching, and while pondering the menu for this particular group of people, I decided on an Italian theme. As I made lists of ideas, I circled back to my ire over the price of marinara sauce. Sick and tired of complaining about something which is clearly something I can do something about, I decided to make my own. 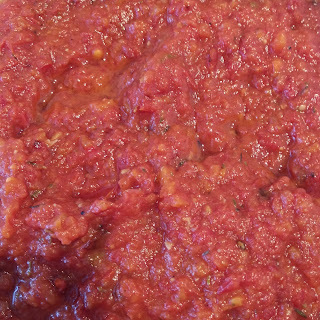 I googled a bunch of recipes, but most called for jars of tomatoes, which are no less expensive than marinara sauce! So I went over to the wet market across the street from my house and bought five pounds of Roma tomatoes, two carrots, and an onion from my favorite vendor, who tossed in some garlic for free. Total cost of my bounty? Just shy of 30 RMB, or about $5 USD. Cover largest baking sheet I have with tin foil, lightly drizzle olive oil on it. Cut tomatoes lengthwise, arrange on sheet with cut side up. Peel and dice one carrot, sprinkle around tomatoes. Roughly chop 1/2 an onion, sprinkle around tomatoes. Press 4-5 cloves of garlic over the tomatoes. Grind sea salt and black pepper over tomatoes. Sprinkle dried thyme, oregano, and basil over the tomatoes (what I had on hand). Drizzle olive oil over it all. Put the whole thing in the oven for two hours and delight in the amazing smell which permeated the whole 38th floor of my apartment building. When the first tray of tomatoes had cooked down and started darkening at the edges, I pulled them out and put in the second tray. My house smelled amazing! 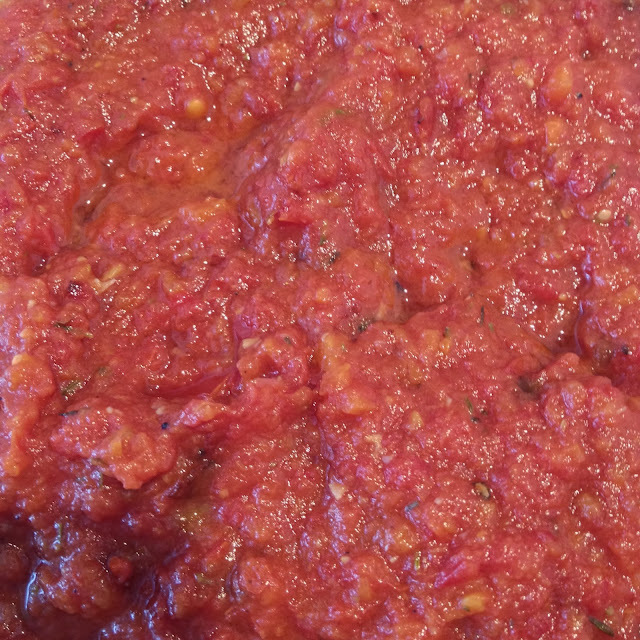 Once I had all five pounds of the tomato mixture roasted, I used my immersion blender to break it down into a slightly smoother texture. Then I put the whole thing in a pot to simmer, and added a couple of tablespoons of butter (a recommendation from all the recipes I googled). I also added a pinch of sugar. It didn't need any more salt or pepper, but if I'd had fresh basil, I would have added it. And then I did my best to wait to serve it over some pasta instead of sucking the whole thing down with a straw! End result was the most delicious pasta sauce I've ever tried, along with a big, smug Cheshire Cat grin and feeling of supreme satisfaction that with the tiniest amount of prep and some patience, I'd filled my home with amazing scents, filled our bellies with fresh and delicious food, and kept the equivalent of $25 USD in my wallet. If you're a foodie or have been cooking since forever, I'm sure this post has you rolling your eyes at what must seem like the simplest thing anyone can make in a kitchen. But I feel like such a hacker and a rebel! This is LIFE CHANGING for me! I'm almost ashamed at the excitement I feel over not being held hostage to the high price of one pantry staple we use all the time! I'm going to put this in regular rotation and just freeze it up to have on hand. And for next week's dinner party? I'm going to be rebelliously hacking a Bolognese sauce to make lasagna. I'm on an adventure, readers. A delicious culinary adventure. Woe to my waistline! If my garden ever decided to produce more tomatoes than a few, I'll have to try your recipe!! Maybe my tomato plants knew that I fear an abundance of tomatoes because I don't want to waste them!